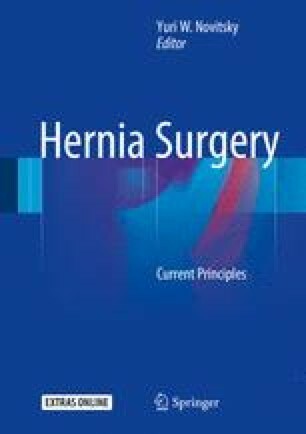 Umbilical hernias are frequently encountered in surgical practice. While umbilical hernias are very common, they represent a spectrum of abdominal wall disease for which debate persists regarding the ideal repair. This chapter describes the various strategies available for repair, including laparoscopic and open techniques as well as primary repair and tension-free techniques using mesh reinforcement, taking into consideration a multitude of patient factors that influence surgical decision-making. Data are also provided to assist the surgeon in tailoring his or her approach to the individual patient.